Oi, oi oi! Feeling a little bit patriotic fellow Australians? I really like this shoot for an Australia Day Barbie, seen in the latest edition of Wedding Style Guide. (Loving this magazine at the moment!) 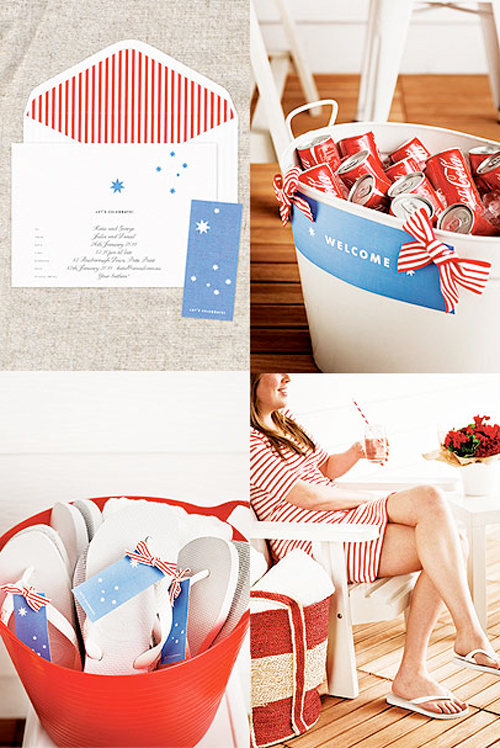 It's a perfect colour palette for 4th of July for those of you in northern hemisphere too! It's just a week away, I can't believe it! What do you do to celebrate Australia day? If you're planning a get together, why not download their free invitations, signs and tags here. I discovered this mag last month and totally love it too, this aussie day feature is so cool isnt it !